Renaissance Festival Auditions Underway – Get Medieval! The Carolina Renaissance Festival, a combination of outdoor theater, circus, arts and crafts fair, jousting tournament and feast, will hold open auditions on Saturday, June 23rd from 8:30 AM to 12:00 PM and Saturday, June 30th from 8:30 AM – 12:00 PM at the Cannon School located at 5801 Poplar Tent Road, Concord, NC 28027. The Festival is calling for actors, entertainers, musicians, performers and colorful personalities of all types to inhabit the Festival’s make-believe Village of Fairhaven. New this year the Festival invites auditionees to get medieval by seeking actors to portray Vikings and Barbarians. Amateur and professional opportunities are available. Prepared material, head shots, and resumes are appreciated but not required. Auditionees should be age 13 or older. Audition details and registration is available online at Carolina.RenFestInfo.com. 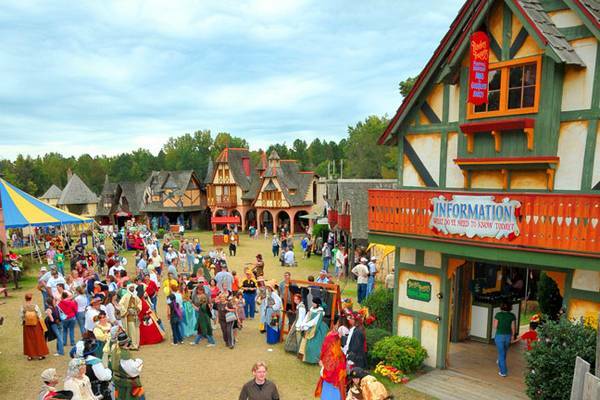 Celebrating 25 Years of Cheers, the annual Carolina Renaissance Festival returns weekends, Saturdays and Sundays, September 29th through November 18th, on a 325 acre site minutes north of Charlotte, between Concord and Huntersville, at the junction of NC 73 and Poplar Tent Road. This information and more can be found online at Carolina.RenFestInfo.com. Open call – Saturday 23rd at Cannon School located at 5801 Poplar Tent Road, Concord, NC 28027.